Oh this is pretty. I love the blush color pink. Its so divine with black! I love all these images. Oh I'm sooo with you- Not much I love more than a soft blushy pink and black- the perfect combo in my humble opinion! i LOVE pink and black, theres nothing better. ahhh! So beautiful! 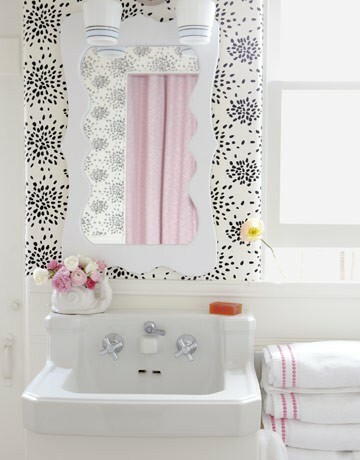 I have always loved the wallpaper in that bathroom! That little entry nook has always been one of my favs. I don't care if it's overplayed either, I love it! one of my favorite combos! Love it! That outfit is divine. I couldn't live without my B-Bags. 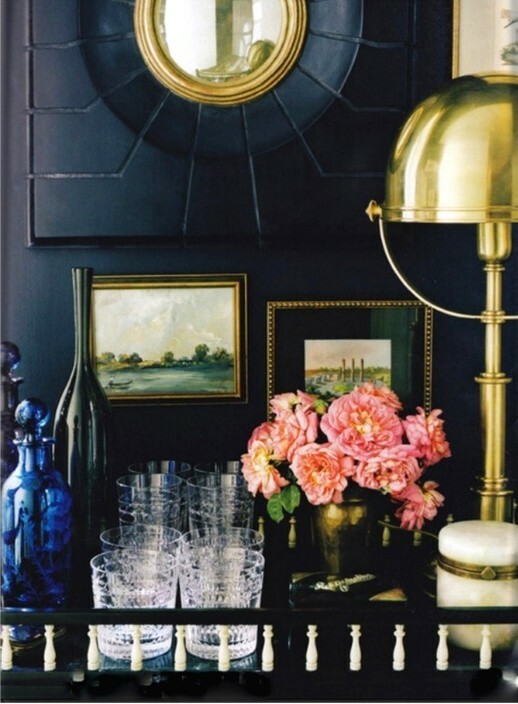 Particularly love the images with the black walls and nooks. The white and pink work so perfectly against them. 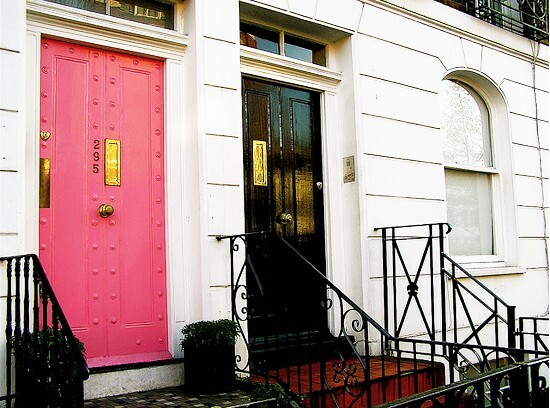 I need a pink door like that. Another thing we share...obsession with stripes! I didn't realize how bad mine was until I packed for our trip...and every day was a new striped top! !